Turning your dreams into a delicious reality! Since 1993, Sweet Dreams Cakery has been specializing in custom cakes and gourmet desserts. In 2009, our services expanded to include wedding and event floral design allowing couples the unique opportunity to incorporate cohesive design elements throughout their event's overall decor. 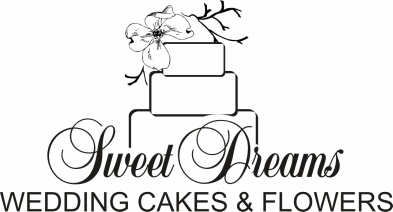 Sweet Dreams offers a Package Deal when couples book both cakes and flowers. Visit our floral website below to coordinate your wedding cake and flowers!